The way I look at it, I'm going to help you in one of two ways; At the start of your business day, or at the end of it!. 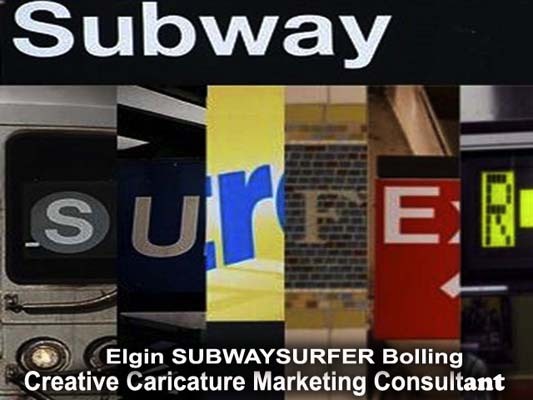 Says Creative Marketing Consultant, Elgin Bolling, known by insiders, by the moniker, "Subwaysurfer". At the beginning of your business day, you're looking for ways to position yourself so that people will look at what you have to offer. That's called your content. That content can take the form of goods, services, information, whatever. You know that what you're offering is beneficial, if people would take a minute to stop and look at it. That's where I come in. I provide the visual hook, that makes them stop long enough to look. The hook that makes 'em look,so you can cook! 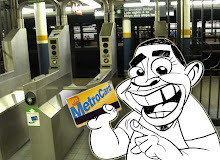 Subwaysurfer laughs. The power of using visuals to enhance written copy is a time proven method used for years offline, by newspapers, magazines, and periodicals.Elgin should know. He's the Editorial artist for The Wave Newspaper in Far Rockaway New York. The fact that more business is being done online is even more reason to use visuals, in fact, because of user friendly technology we can now add movement, and sound as well. One of my clients, Erik Dillard, international vocal coach of The Erik Dillard Vocal clinic, noticed a dramatic increase in online viewership due to the creative and consistent use of subway surfers visuals. Erik and I watched his Nikki Minaj video reach an astronomical increase in viewership,over two thousand as of this writing, with little signs of slowing down. Another client, film maker, Howard Tirsky of SNIDETV.com caught the attention of over one million online viewers with his satirical animated parodies of former president George W Bush in his hit four issue "George Bush job interview series. I worked closely with Howard and the animation team developing character design, background visuals, storyboards and layouts. We also did CASTROS Funeral which was also wildly successful. At the end of a clients business day when they're celebrating for a job well done, I'm there again drawing live caricatures! As one of New York City's best caricature entertainers. Past clients have included Toys R Us, McDonalds Corporation, and Sardis restaurant, just to name a few. Caricatures are great to help you celebrate! I've got the greatest job in the world! People are happy to see me come, and sad to see me go! Who could ask for more?! Since 1990 Elgin Subwaysurfer Bolling has provided consultative,collaborative and artistic solutions to enable his clients enhance their online amd offline presence. Utilizing his expertise in humorous illustration and character design, he creates personal and company avatars and logos, e book cover and interior illustration, animation,and whimsical prose. Live Caricature Party Entertainment is also available.